American community colleges are a great choice for students seeking an American education. This book will guide you through the process. Paperback, 8.5" x 5.5" x .5"
Discount on paperbacks for U.S. schools and libraries when ordered from Rope's End Publishing or from Ingram iPage. American Community Colleges: The International Student's Guide is a great educational resource for any prospective international student interested in obtaining undergraduate education in the United States. Moreover, this book, particularly chapters 6-8, is a very helpful resource for newly arrived international students who are in the process of registering for classes and settling in the new community. Web links of supplementary resources are provided at the end of each chapter with additional information on specific topics that are covered, which is another notable feature of this book. Finally, this book could also be used by community college recruiters who are interested in recruiting international students. The information provided in the book could be used to make a case for a community college being a first choice for international students. This reading is completely indispensable and essential if you're planning on studying in the USA (community college, but also university), but also it teaches you so many useful things like how to get a visa, getting certifications (like TOEFL), the cost of living, among other important advices that can be helpful for everyone who's going to travel to the USA (either for vacation, business or studies). Available from Amazon (print and Kindle ebooks), Smashwords (ebooks) and Kobo.com (ebooks) or our Orders page. In a series of interviews, Chinese young adults tell us in their own words about their lives, their values, their goals for the future, their daily joys and persistent challenges. They also tell us what they think of westerners and what they believe we need to know about China. ​ Chapters by the author on Confucian values, recent Chinese history, and the typical life stages of the Chinese give meaningful context to their commentary. Chinese blue-collar workers, educated professionals, and university students are represented in these interviews which were conducted with adults between the ages of 18 and 35. 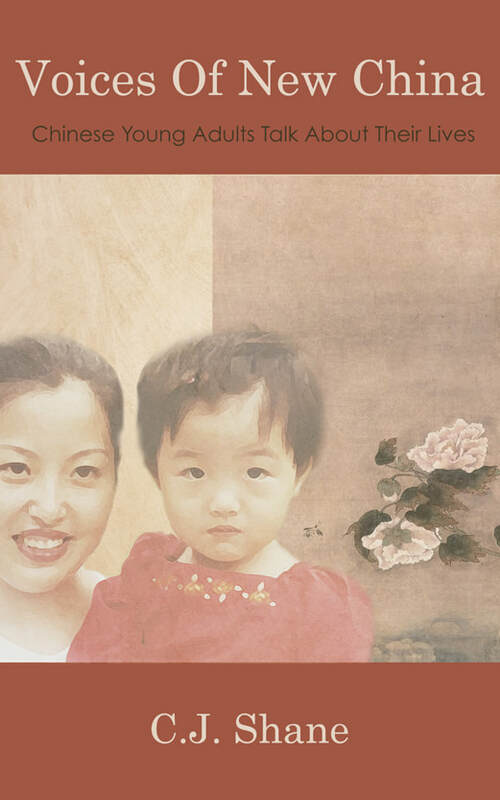 Learn what life is like in China from the Chinese perspective. 40% discount for libraries, schools, and non-profits. Voices of New China is currently available in paperback for only $8. (regular price is $10.99). This applies only for books ordered directly from Rope's End Publishing. Click on Orders. The first third of the book is all about context. It is a brief overview of Chinese history, focusing mostly on the dramatic events of the 20th Century which still reverberate in the memories of the current generation. There is also a chapter which introduces the reader to the ways in which Chinese culture differs from Western culture. The book stresses the danger of assuming that "we are all basically the same", without examining the way history has shaped us. The rest of the book is a series of interviews with young people, aged between 18 - 35. Some are educated university students from relatively wealthy backgrounds. Some are poor workers who have only had a few years of primary school. Each interview teases out touching insights and shows a unique and intimate portrait of an individual, their opinions, their sense of humour, their wistful dreams. There are many beautiful moments. For example, when a young mother asks the interviewer to give her little son an English name, and is charmed with the resulting suggestion. Some moments are sad -- for example a young man who works for the government, but is a poet and philosopher at heart. He is one of the few who expresses quite outspoken against the Chinese government, but is torn between his dream of being a successful poet, and the reality of having to survive as a business man. Many bitter-sweet moments. I was struck by how many of those interviewed worried about the environmental problems that China faces today. People mention never seeing the blue sky, or stars. Or lament the cutting down of forests near their home. ~~ ...the material provides a useful introduction to modern China. J.C. Martin, Arizona Daily Star, Dec. 1, 2013.